'I did this crossing only with the help of God,' Mr Konyukhov, told the Sunshine Coast Daily through his interpreter and son Oscar. A courageous Russian adventurer has arrived in Australia after completing a record breaking 16,800km journey across the Pacific Ocean in a single man ocean row boat. 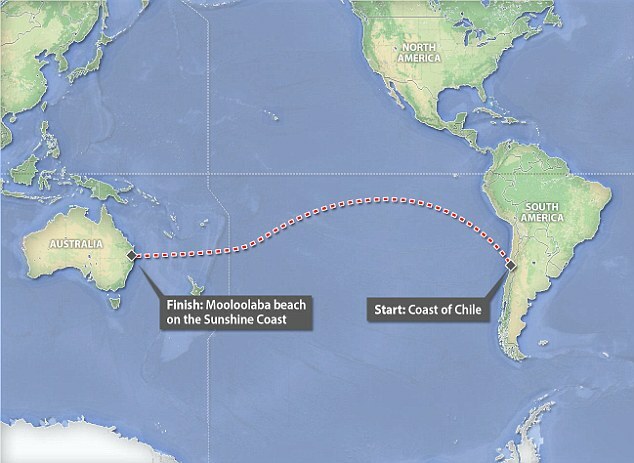 Fedor Konyukhov stepped onto dry land at Mooloolaba beach, on the Sunshine Coast, on Saturday, five months after he set off from Chile, in South America. The 63-year-old bearded Orthodox priest was greeted by hundreds of excited onlookers, who waved the white, blue and red flag of his homeland. 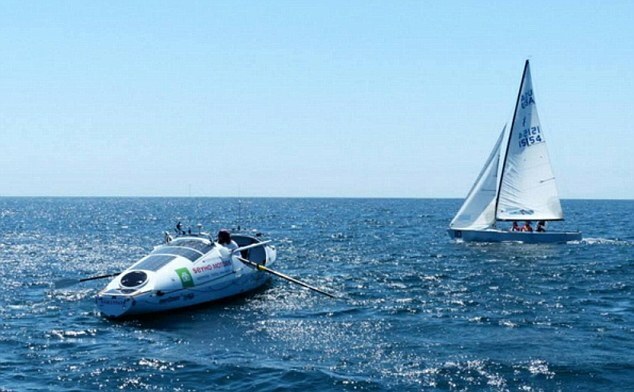 The experienced explorer spent 160 days alone in his custom, white, nine-metre carbon fibre ocean row boat but arrived in Mooloolaba with a smile on his face. ‘I did this crossing only with the help of God,’ Mr Konyukhov, told the Sunshine Coast Daily through his interpreter and son Oscar. Oscar is now the director of his father’s business and organises the sponsorship and logistics for his incredible challenges. 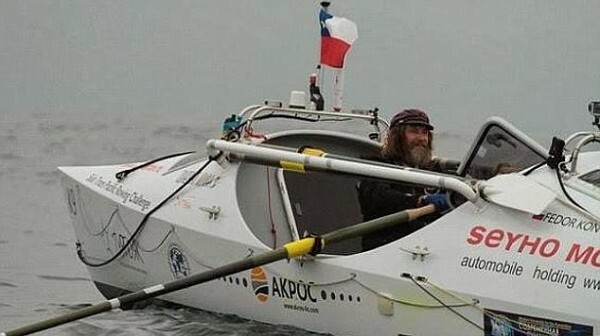 Mr Konyukhov struggled slowly through the last five kilometres of his huge journey, which saw him become the first person ever to row non-stop, unassisted across the Pacific from Chile. He previously attempted the voyage on December 14 but was forced to abandon his first try because of a malfunctioning accumulator. 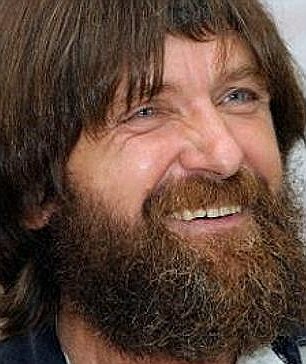 Mr Konyukhov is one of the greatest living adventurers – he has scaled Mt Everest twice, climbed the highest peaks on each continent, and trekked on foot to both the North and South Poles. Born into a family of fishermen, he was just 15 when he crossed a section of the Black Sea in a row boat.On reaching Australian soil – and after being assessed by customs – the highly spiritual explorer told reporters that he wished to visit a church in Brisbane. He carried large wooden crosses with him on his journey.